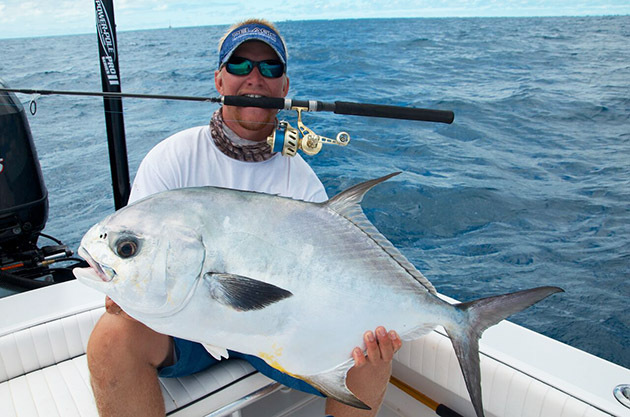 Catching a permit in the Keys is one of the most wonderful experiences for any fishing enthusiast. 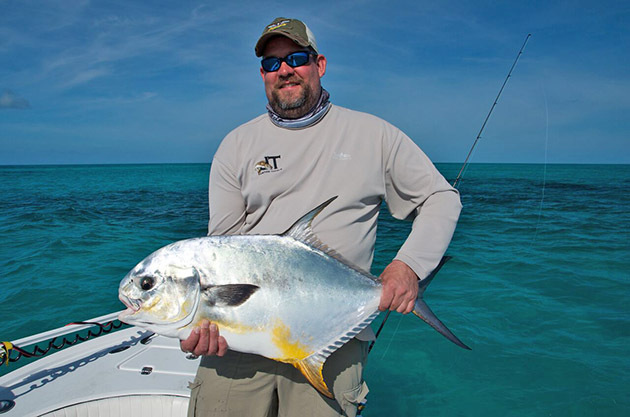 The permit is one of the most sought after sport fish throughout the Keys. They are in the jack family, but are nothing like your typical jacks you’d go after. Permit have great eyesight, awesome sense of smell, they can hear you, and they will scurry off if they sense that anything is wrong. Permit are usually caught up on the flats by sight casting, but this time of year they can be caught on wrecks and reefs when they are spawning. 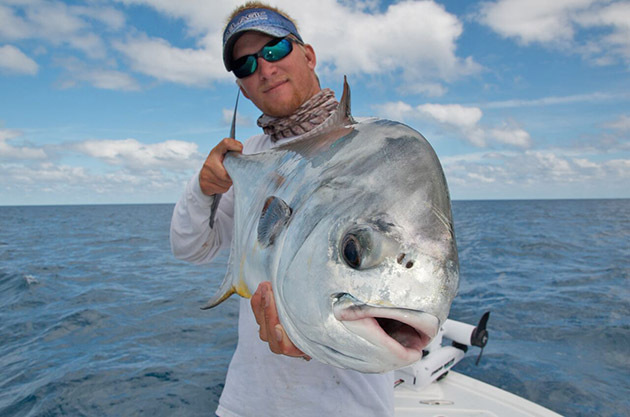 Catching a permit on the flats is one of the most rewarding things you can do in the Key West fishery. You only get a couple shots while sight casting to them. In April though, the permit are mostly out in the deeper waters spawning. Almost every mature permit at one point this month will shoot out to the reefs to spawn before coming back inshore. They have been seen in schools of the thousands. You can see the permit sticking their backs out of the water on the surface, as well as mark them on the sonar to depths of 150-feet. I would say that this is the best opportunity to catch a permit. Throwing live crabs, shrimp, or buck tail jigs seems to be the ticket to hooking one. 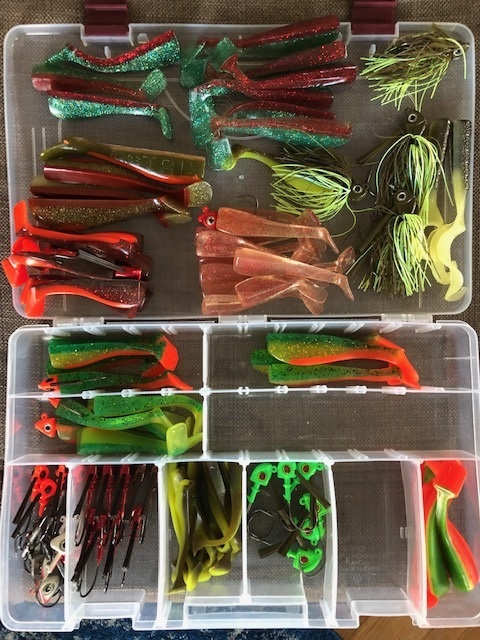 All of these baits are things you would use on the flats for permit. Even though the permit are in huge numbers spawning, they can still be a little spooky. I try not to start my engine directly over the school, and I will use my trolling motor where needed. 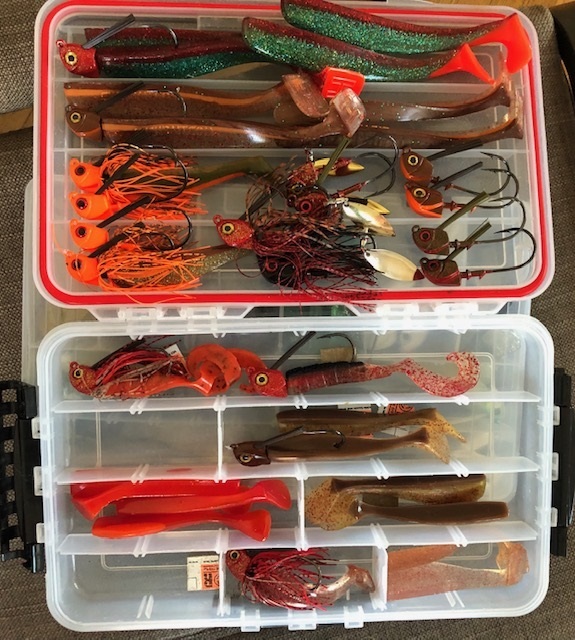 When casting to permit in the deeper waters, I will use slightly heavier tackle than what I would use up on the flats. I use a 7’6′ 12-25-pound rod with a 5000 to 6000-class reel. As far as hooks and leader I am using 2/0 or 3/0 offset J-hooks with 20-30-pound fluorocarbon leaders. I use a little bigger tackle in these depths because the fish typically shoot straight down when you hook them, trying to break you off on whatever structure they are hanging out above. Hammerhead sharks are migrating through the reef this time of year. 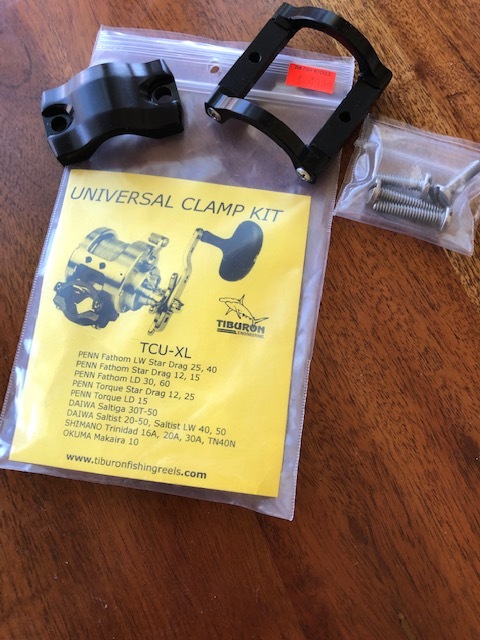 You want to be able to turn your fish and get him in at a decent time just in case the “tax man” is hanging around! Another reason to use a little bit heavier tackle is in case you hook a permit well over 25-pounds. 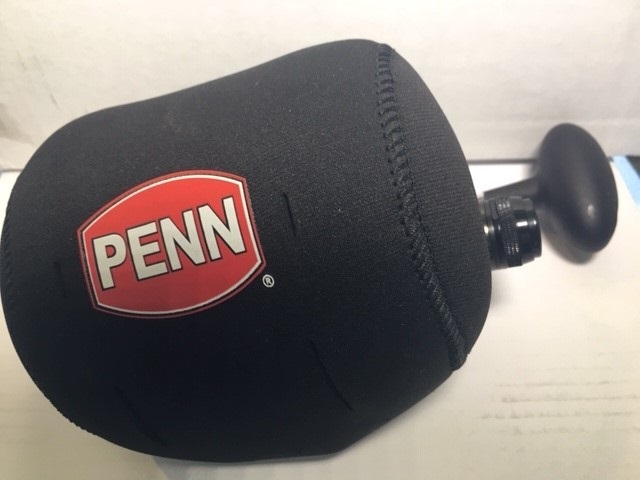 They can do some damage to your smaller 3000 to 4000-class spinning reel. It’s just better to up the tackle a little, while still keeping it light enough to have a great time. When casting to permit on the spawn, I have my anglers put their baits right on the heads of the fish. Usually we are throwing crabs, and they will sink down a little bit into the rest of the school. If you spook one or two fish it’s not a big deal. There are so many permit spawning that they won’t even notice. 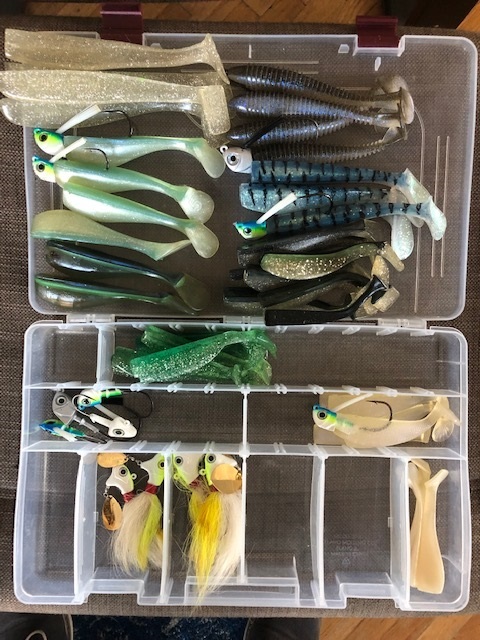 I sometimes put a size-2 split shot on the leader as well so I can get the baits down to them if they are near the bottom. 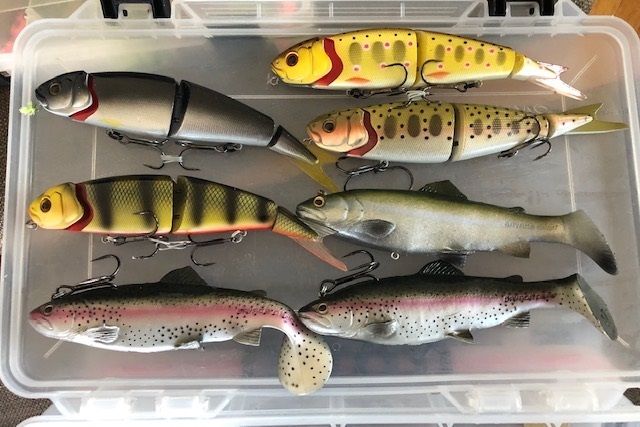 Letting them eat the bait is crucial, as many of them will make short bites and miss the hook. There are also so many other fish down there that your line may get caught up in another passing by permit. It’s better to just let the fish eat and then add pressure versus setting the hook. Whether you’re targeting permit on their spawn or chasing them down on the flats, they will be sure to give you one of the best fights pound for pound. Permit continue to be one of my favorite sport fish because of their strength, stamina, and intelligence. Capt. Kyle Kelso is a Florida native from St. Petersburg, FL. 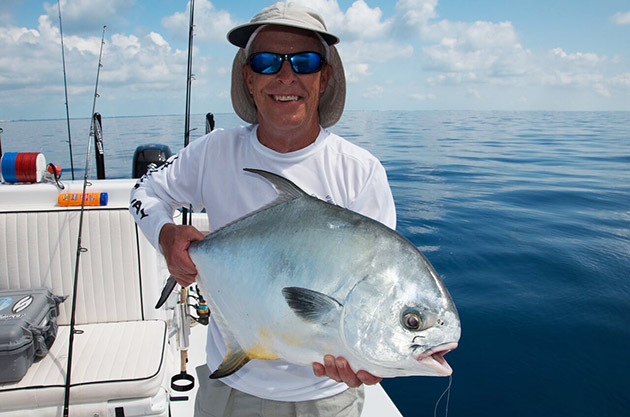 He is a full-time fishing guide in Key West, FL and member of the Florida Guide Association. His charter company is called All Water Charters, being named from him loving to fish in all depths of water for multiple species. Capt. Kyle's favorite fish to go after are permit, cobia, tarpon, and sailfish. Capt. Kyle has also helped out with the tarpon tagging programs for migratory research. He fishes primarily backcountry charters on his 23 Dorado custom bay boat, which can be fished in all depths of water. 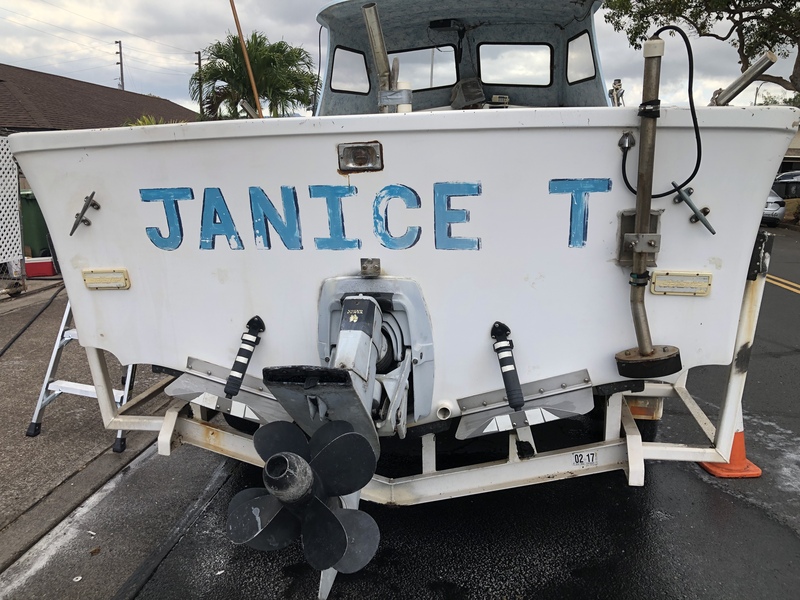 He won the flats division of the Key West Fishing Tournament in 2012, while also being awarded that year's Guide Achievement award. Capt. 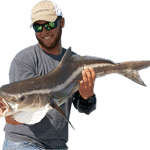 Kyle's website is fishingtripkeywest.com, where he posts fishing reports from his charters and general Key West information. Win A Trip To Catch Giant Bluefin Tuna – Last Call!